Continuing the year's disspiriting parade of losses to the musical world, multi-talented Hungarian musician Zoltan Kocsis died Sunday, November 6, in Budapest, Hungary at the relatively young age of 64. First recognized as an immensely talented pianist, by the time of his passing he had further distinguished himself as a conductor, teacher, and composer. Along the way, he accumulated a distinguished discography centered on certain of his Hungarian countrymen plus Debussy and Rachmaninoff. Kocsis was born in 1952 in Budapest, Hungary. Like most internationally celebrated pianists, he began playing the instrument early. After several years' studies, beginning at age five, with a local teacher, Kocsis entered the Bartok Conservatory in 1963 and then, in 1968, the Franz Liszt Academy in Budapest, where he was named assistant to one of his professors at age 21, well before his graduation in 1974. He first toured the United States in 1971 and performed across the world thereafter, as soloist and as conductor, sometimes in seemingly unlikely places, as he declared the venue was irrelevant to aesthetic values. He played four hands music with Andras Schiff and Sviatoslav Richter, the latter after being invited to his festival in France. With countryman Ivan Fischer, Kocsis co-founded the Budapest Festival Orchestra in 1983, and he assumed directorship of Hungary's National Philharmonic Orchestra in 1997. Aside from an interruption for heart surgery in 2012, he continued working with these ensembles and performing as a pianist until canceling all engagements on doctors' orders a month ago. After a promising start, Kocsis never had the kind of high-profile career achieved by such other pianists-turned-conductors as Vladimir Ashkenazy or Daniel Barenboim, and modern classical composition generally is not a good path to becoming a household name, but to record collectors the world over who love certain segments of the universe of classical music his was a name to be reckoned with. He began recording at age 21 for Hungaroton and then changed allegiance to Philips; these two would remain his primary labels. Recordings of Kocsis also have been available on the Nippon Columbia, Phonogram, Quintana, Capriccio, Capriole, TwoPianists, and Naxos labels, among others. Central to his discography were works of Hungarian composers, including a highly admired cycle of Bartok piano music; all three of that composer's piano concerti with Fischer leading the Budapest Festival Orchestra; and with the same forces Ernst von Dohnany's Variations on a Nursery Tune, once a concert hall staple but in recent years something of a rarity. Less celebrated but clearly important to Kocsis were his efforts on behalf of one of his teachers from the Franz Liszt Academy, contemporary Hungarian composer Gyorgy Kurtag, whose works Kocsis programmed in concerts both as conductor and pianist, some issued on CDs. In addition to Hungarian works, Kocsis recorded most of Debussy's piano music and an extensive selection of pieces by Rachmaninoff, including assorted solo works, and, with Edo de Waart and the San Francisco Symphony, all the concerted works for piano and orchestra. From an earlier era, Kocsis left us Bach's Kunst der Fuge and a number of concerti; Andras Schiff joined Kocsis in those calling for multiple keyboards. Although better known as a performer, Kocsis also had a respected career as a composer. Of particular note was his completion of Arnold Schoenberg's unfinished opera Moses und Aron, for which Kocsis wrote a full third act in accordance with Schoenberg's text and directions regarding the unfinished parts. Kocsis received numerous honors during his career, which began when he won the Hungarian Radio Beethoven Competition prize in 1970 at age 18. At age 21, he was awarded the Franz Liszt Prize by the Hungarian government. He twice received Hungary's highest award for artists, the Kossuth Prize, once in 1978 and again in 2005, and then Hungary's Corvin Chain award in 2012. Budapest awarded him the key to the city in 2014. International awards included the Maecenas Award in 1991 and the life achievement award at the Cannes Midem Festival and the French Chevalier de l'Ordre des Arts et des Lettres, both in 2004. Awards for his recordings included a Gramophone Award in 1990 for his Philips recording of Debussy's Images, the magazine's Chamber Award in 2013 for his Hungaroton recording of Bartok's violin sonatas with violinist Barnabas Kelemen, and an Edison award for his 1987 Philips recordings of the Bartok piano concerti, noted above. Kocsis was married twice. 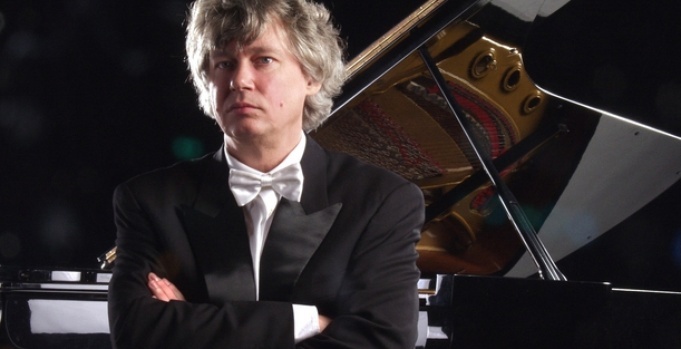 His survivors include second wife Erika Toth and four children, including pianist Krisztian Kocsis.